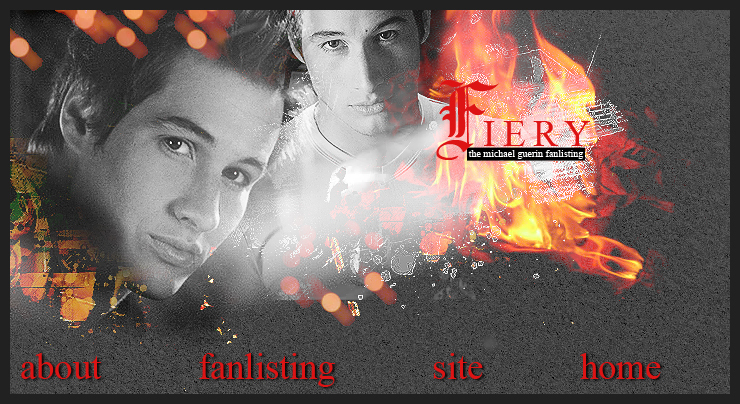 ...to fiery, the only tfl.org listed fanlisting for the amazing character Michael Guerin, from the TV show Roswell. A huge thanks to Joss who kindly allowed me to adopt this fanlisting from her. Fiery was last upated 24th Mar 2019. There are currently 155 members from 28 countries with 0 pending. Welcome to Whitney. This fanlisting was previously owned by Joss and Kerry. This site uses Enthusiast. This site is not official. It has no affiliation with Brendan Fehr or the WB. No copyright infringment intended.